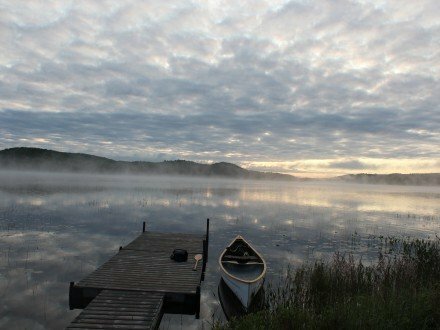 Algonquin Park has over 1400 kilometres of canoe routes. With so much lake, river and streams to paddle, the choice in Algonquin Park is really endless with so many canoe routes you never have to do the same trip twice. From overnight flat water canoe trips without portages for beginners, to 14 day expeditions to the interior to class 3 whitewater down the Petawawa river. There is a canoe route for every level of paddler. The”Park” is massive. 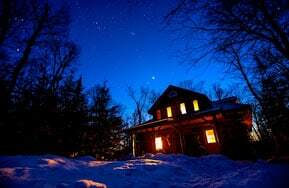 Algonquin’s 7000 square kilometres have 29 access points which surround Algonquin and along highway 60. Which place you “put in” to start your canoe trip depends on a few factors? Where are you coming from? Toronto, Ottawa, Kingston? If you wanted to start at Algonquin park access # 29 for example at Brent on Cedar lake, it would be at least 7 hours drive from Toronto or Kingston. The highway 60 corridor in southern Algonquin Park is very accessible as are the western access points. 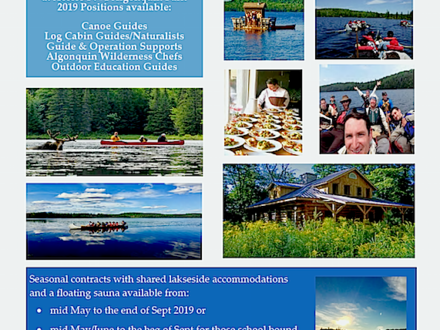 Voyageur Quest’s Algonquin park canoe trip operation along with our Algonquin Log Cabin, Algonquin Cottage Outpost, Algonquin Island Retreat and canoe trip outfitter,- Voyageur Outfitting, are all located at Algonquin’s northwest corner- Algonquin access point # 1. Unlike the Park’s highway 60 corridor – the only way into Algonquin from this corner is by foot or canoe. Translation – less people! A typical trip into Algonquin’s northwest corner may find you traveling large and small lakes, creeks and rivers and the necessary portages that connect these waterways. 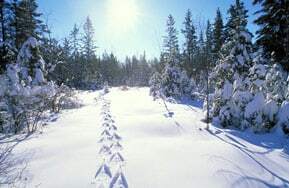 You might see beaver, moose, mink, otter, osprey, and raccoon and a variety of birds and waterfowl. You almost certainly will see some moose if you travel in June, July or early August. A trip in the Park is not complete without a visit to some of its beautiful beaches; quiet swimming areas, and cool waterfalls.